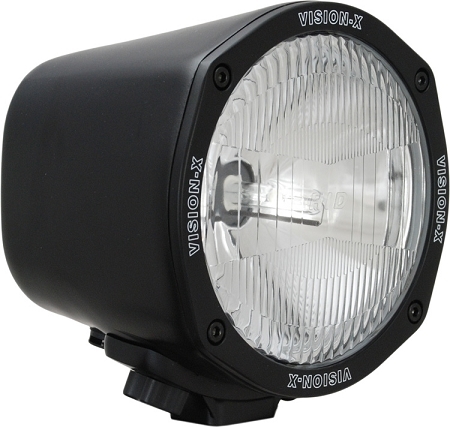 The HID 4500 Series is a compact yet powerful off road light. 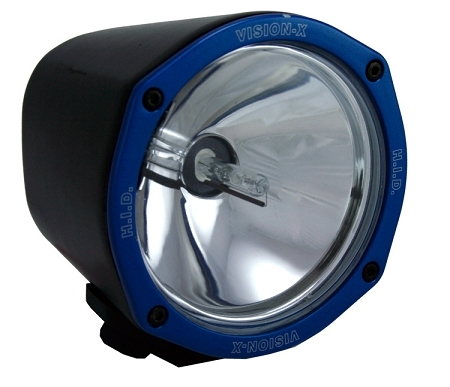 The 4500 is our smallest HID off road light at 5" in diameter, yet still puts out 3500 lumens of light and features the durable and rugged die-cast aluminum housing. 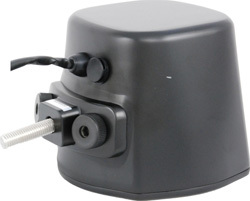 The 4500 Series is perfect when you need powerful light from a smaller housing. The 4500 Series uses an internal 35 watt ballast producing 3500 lumens of light. The ballast and starter are all internal for easy installation without external components to install. The 35 watt ballast puts out 3500 lumens of light while only drawing 2.92 amps. 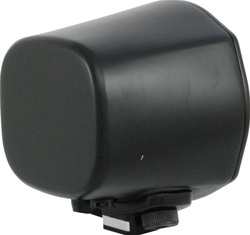 The 5" round die-cast aluminum housing is compact yet durable for all conditions on and off road. The durable borosilicate hardened glass lens offers ultimate protection from rocks and debris. The single stud mounting system provides for easy installation. Knurled aiming knobs allow for easy 15° adjustability.